Published: Aug. 11, 2014 at 07:29 p.m. 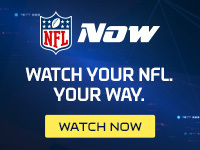 Updated: Aug. 12, 2014 at 11:29 a.m.
More than a few Miami Dolphins fans were peeved when the team passed up Brady Quinn in the 2007 draft in favor of wide receiver and return man Ted Ginn. Seven years later, the "Dolfans" have their man. NFL Media's Jeff Darlington reported Monday that the team has signed Quinn to add depth behind starter Ryan Tannehill, according to a source with knowledge of the deal. The Dolphins now have five passers on the roster, with Matt Moore, Pat Devlin and Seth Lobato rounding out the quarterback room. Moore (shoulder) and Devlin (hamstring) returned to practice on Sunday, but the team was looking for another camp body to get them through the preseason. Quinn also has a television deal in place to work as an analyst for Fox Sports, but the agreement allowed him to pursue NFL opportunities, which led to a reported workout for Patriots offensive coordinator Josh McDaniels in Denver before Miami called. The former Notre Dame star and first-round pick of the Browns has spent time with the Broncos, Chiefs, Seahawks, Rams and Jets. His career was in question after last November's back discectomy surgery, but the Dolphins believe he's healthy enough to suit up. Quinn, though, is no lock to make the final 53-man roster. Moore's the best backup of the bunch, but adding a player with 20 career starts gives the roster an experienced arm to fall back on. UPDATE: After signing Quinn, the Dolphins will release Devlin, Fox Sports reported.